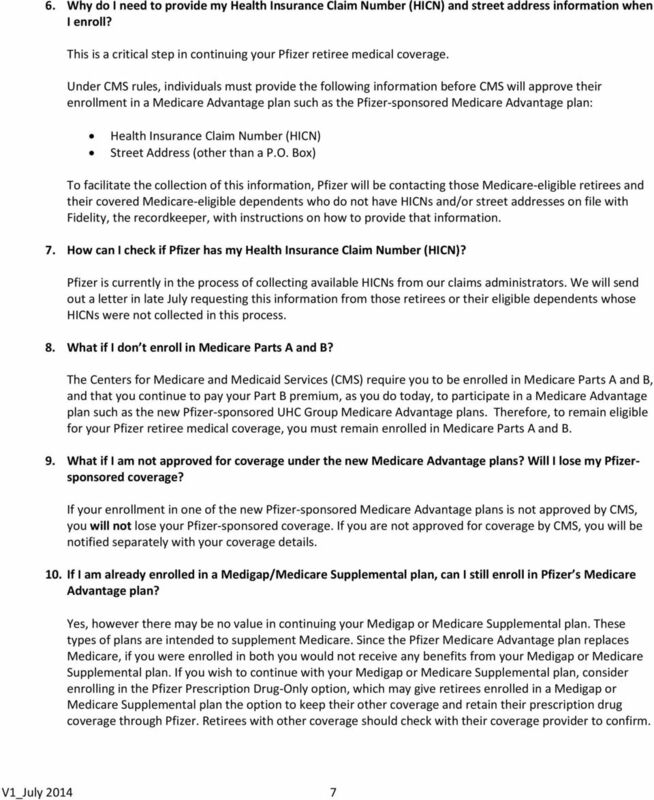 1 FREQUENTLY ASKED QUESTIONS The following is a list of frequently asked questions on the Pfizer-sponsored UHC Group Medicare Advantage plans. We will include responses to the most commonly received questions in our running list, which we will update periodically. 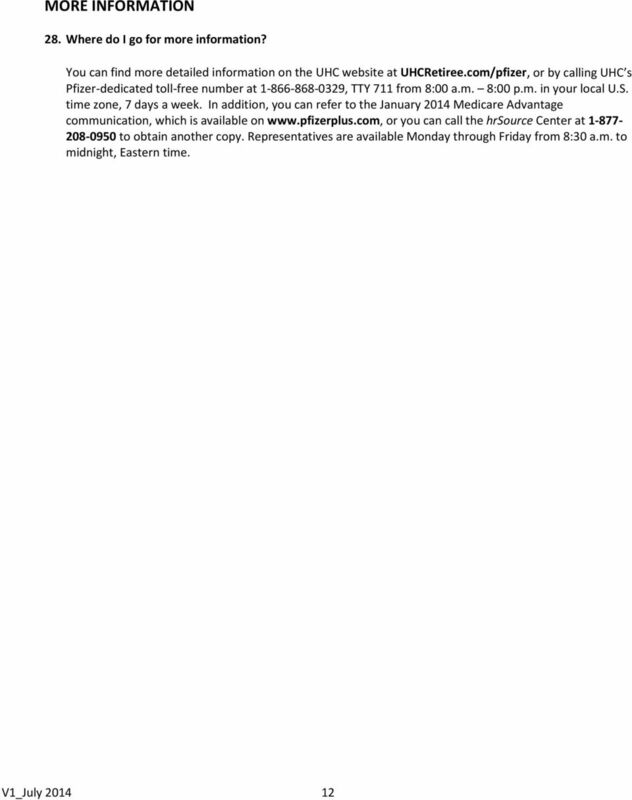 You can access the list at or by contacting the hrsource Center at Representatives are available Monday through Friday from 8:30 a.m. to midnight, Eastern time. 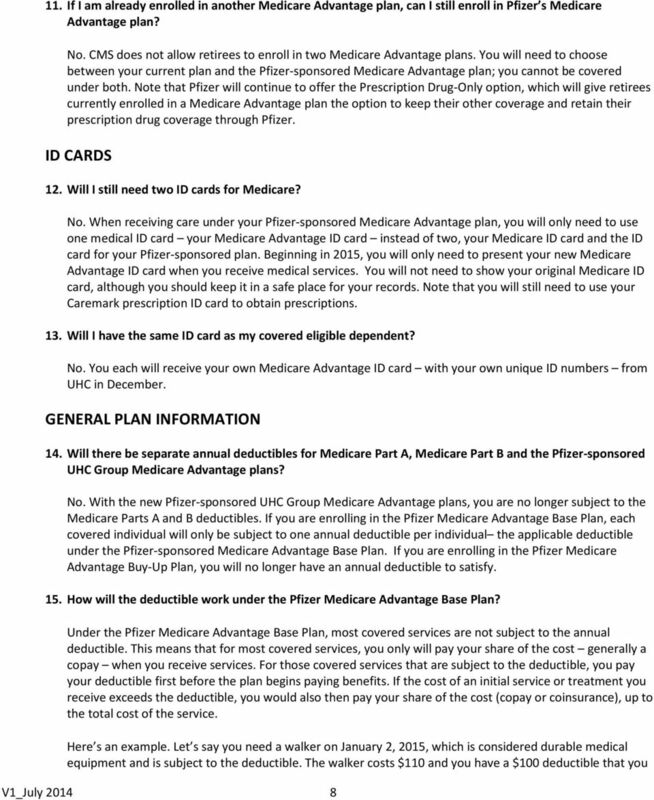 NETWORKS/PROVIDERS For Questions On See Networks/Providers P. 5 Enrollment Requirements/ Important P. 6 Actions to Take ID Cards P. 8 General Plan Information P. 8 Coverage for Non-Medicare-Eligible P. 10 Dependents Monthly Contributions P. 11 More Information P How will the Pfizer-sponsored UHC Group Medicare Advantage plans work? 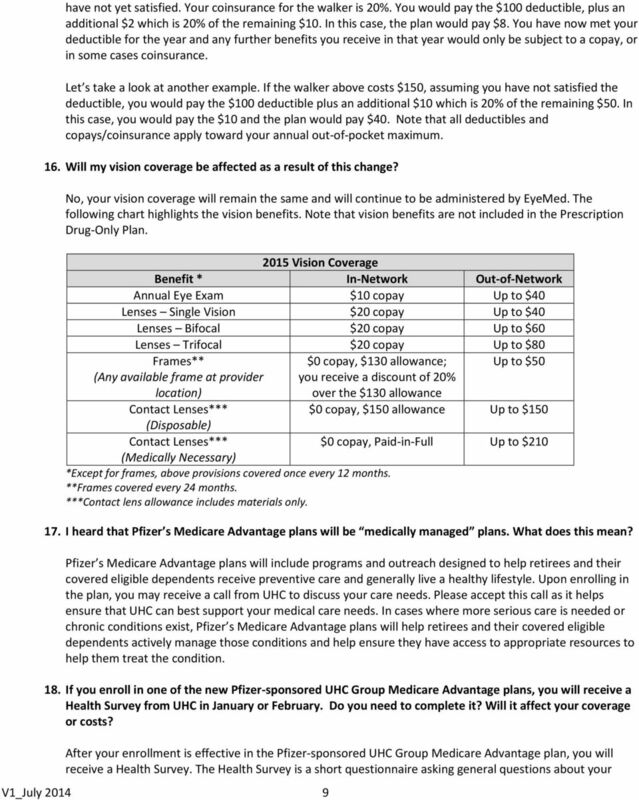 Does my doctor need to be part of a network so I can continue seeing them under the plans? As long as your doctor, hospital or other provider participates in (i.e., accepts payment from) Medicare, you will receive the same level of coverage whether or not they are members of the UHC Group National PPO network. The Pfizer-sponsored UHC Group Medicare Advantage plans provide the flexibility to see providers in or out of network at the same cost. 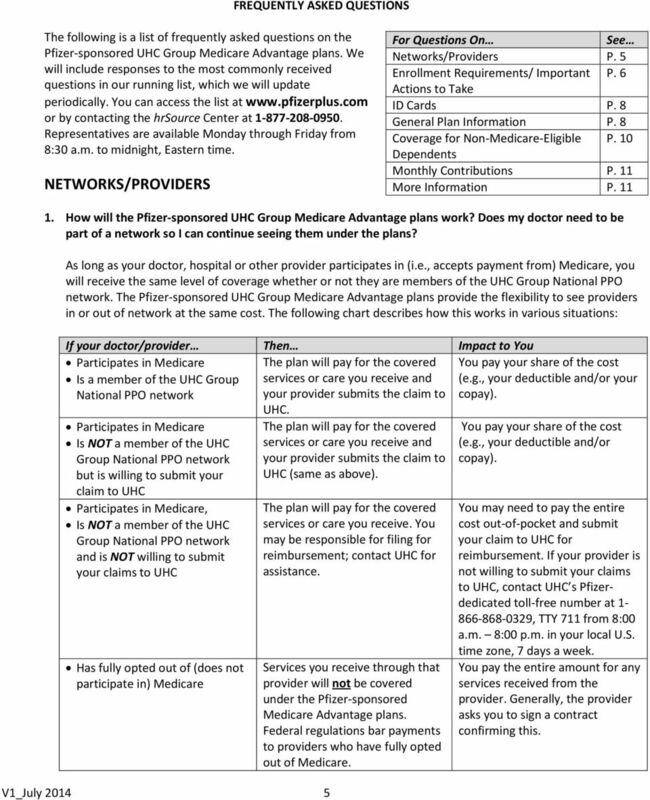 The following chart describes how this works in various situations: If your doctor/provider Then Impact to You Participates in Medicare Is a member of the UHC Group National PPO network The plan will pay for the covered services or care you receive and your provider submits the claim to UHC. You pay your share of the cost (e.g., your deductible and/or your copay). 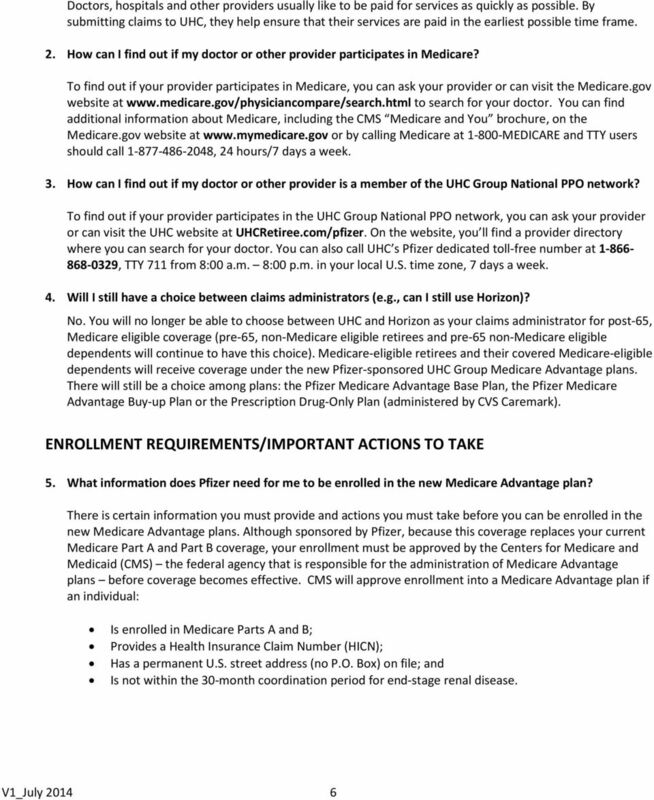 Participates in Medicare Is NOT a member of the UHC Group National PPO network but is willing to submit your claim to UHC Participates in Medicare, Is NOT a member of the UHC Group National PPO network and is NOT willing to submit your claims to UHC Has fully opted out of (does not participate in) Medicare V1_July The plan will pay for the covered services or care you receive and your provider submits the claim to UHC (same as above). The plan will pay for the covered services or care you receive. You may be responsible for filing for reimbursement; contact UHC for assistance. 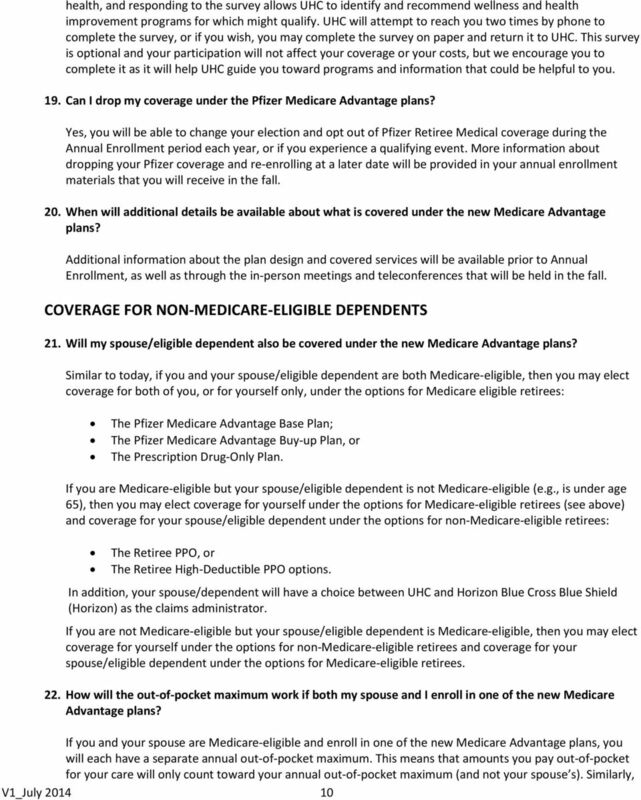 Services you receive through that provider will not be covered under the Pfizer-sponsored Medicare Advantage plans. Federal regulations bar payments to providers who have fully opted out of Medicare. You pay your share of the cost (e.g., your deductible and/or copay). You may need to pay the entire cost out-of-pocket and submit your claim to UHC for reimbursement. If your provider is not willing to submit your claims to UHC, contact UHC s Pfizerdedicated toll-free number at , TTY 711 from 8:00 a.m. 8:00 p.m. in your local U.S. time zone, 7 days a week. You pay the entire amount for any services received from the provider. Generally, the provider asks you to sign a contract confirming this. Welcome! We look forward to serving you! 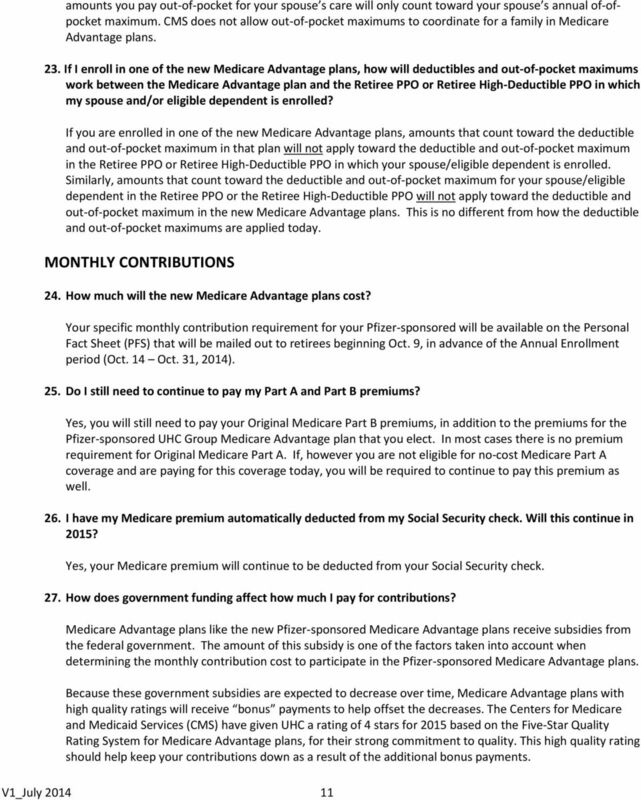 Am I eligible to join Martin s Point Generations Advantage? When can I sign up for Martin s Point Generations Advantage?